 Great Placesubmitted by Dahlia G. - Mar 15, 2019 |Recommended: YesVery happy with Gateway at Carteret. Selina, Joe and Kathy in the leasing office are amazaing Maintenance always makes sure that everything is working efficiently and prompt with their responses. The neighbors are friendly. The location is great and the buildings are very quiet and peaceful. Great place to live Highly recommend. Overall Great Experiencesubmitted by Josh M. - Jan 05, 2019 |Recommended: YesMy stay here was excellent. Only downsides were noise outside from people talking yelling at least once a week. Only a problem if you like to leave your windows open and or your closer to the ground floor especially at night. I was on the second floor. Neighbors recently moved in above me and I can here every step they take. Not sure if they are just heavy footed or all the apartments are like that. Windows are very thin as well Noisey . But other then that, staff is great Grounds are kept very clean. Jonathan and Kathleen are excellent and professionals at their job. I would recommend anyone to stay here. Idea of the property is great. Amenities and all. Great staff.submitted by Frederick S. - Oct 31, 2018 |Recommended: YesI would tell them that if they don’t mind lots of noise then it’s great. the construction is not that great. You can hear every single step people living above you make. Makes for hard to sleep and if you have children, they wake up to every sound because it is so loud. The staff is phenomenal though. It's a nice placesubmitted by Natasha V. - Aug 31, 2018 |Recommended: YesI like everything about the place except my commute to New York but the place compensates it. Overall, it looks good and always helpful.submitted by Nancy A. - Aug 31, 2018 |Recommended: YesI would say that the property didn't spend too much on the faucets materials which is the reason it is always being repaired. I would like if the property had more amenities like a pool, and or a closer park. Great compared to similar propertiessubmitted by Jacqueline G. - Jul 02, 2018 |Recommended: YesYes. Great submitted by Crystal P. - Mar 12, 2018 |Recommended: YesOur apartment is great Maintenance is very responsive to our requests and the leasing center is very helpful. The only downside is parking as we are in 60 Roosevelt and depending on what time we come home we don't always have a spot in the front or back of the building. We do often hear the cars outside but living on the first floor and in the front of the building we expected it. Overall the grounds are taken care of and well maintained. response from property - Hi Crystal, We are honored that you chose our community as your new home. Please know that it is our goal to offer you a great living experience. We would like to have the opportunity to discuss your concerns so please contact us at the leasing office. Thank you for your feedback, truly appreciated. Great place to live submitted by Jorge P. - Feb 04, 2018 |Recommended: YesWe really enjoy living here. We love the look and feel of the apartment community. The finishes are high end and our brownstone is solid and well built. The location is great and very accessible to shopping and transit. The NYC express bus is extremely convenient for commuting. The leasing staff was awesome during the entire process from start to finish. They were very patient showing us all the available floor plans until we fell in love with the perfect one for our family. The maintenance staff is top notch, very friendly and prompt when needed. The apartment was very clean when we moved in and has just been a great place to live. We've been living here over a year now and have been very happy. response from property - Thank you so much for your feedback! It is a pleasure to have you in our community. response from property - Francis, it is our greatest reward to receive messages like this! Please let us know if there is anything we can do to make your experience even better.